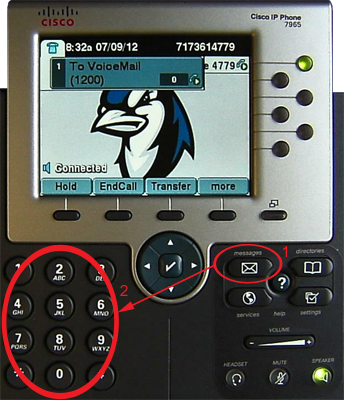 This page provides instructions for checking voice mail using a Cisco IP Phone. The model used in this instruction set is a Cisco IP Phone 7965, however, the process is identical for the Cisco IP Phone 7962 though the screen shots may vary. 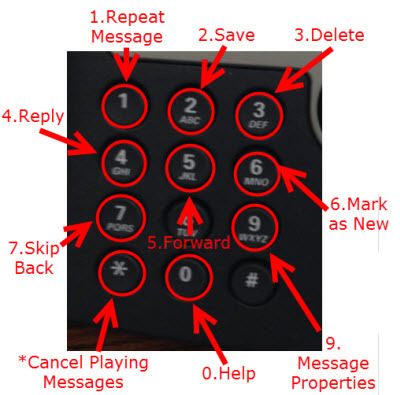 Step 1:Press the messages key. Step 2:Press the * key. Step 3:Enter your extension followed by the # key. 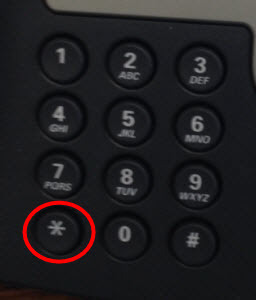 Step 4:Enter your PIN followed by the # key. 4 - Slow down the message. 6 - Speed up the message. 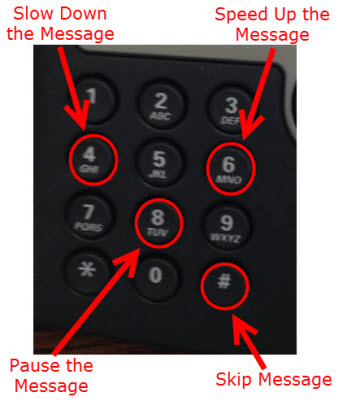 8 - Pause the message. 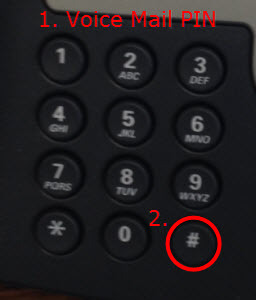 After a message is complete or is paused a voicemail command can be entered.